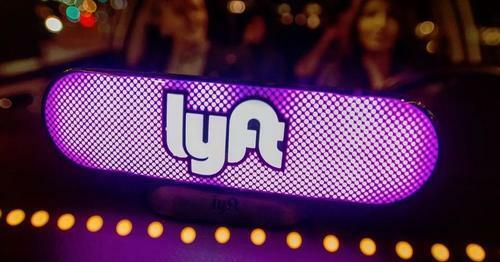 Drivers who work for Lyft and Uber have seen their earnings cut in half from where they were just four years ago, according to a new study, which found that drivers earned 53% less in 2017 than they did in 2013. The report was prepared by the JPMorgan Chase Institute and was based on payments that were directed to 2.3 million families. Drivers made $783 per month in 2017 versus $1469 per month in 2013. On a per month basis, about half of drivers who worked for Uber and Lyft made $900 or more in the first quarter of 2014. However, in the first quarter of 2018, less than 25% of drivers were able to earn $900 per month. The report concludes that the drop is either due to less hours driving or a growing number of drivers, i.e. competition: "These declines in monthly earnings among drivers may reflect the fact that the growth in the number of drivers could have put downward pressure on hourly wages; they may also reflect a potential decline in the number of hours drivers are driving." Another report, published by the Economic Policy Institute, claimed that Uber drivers typically end up earning just $9.21 per hour after fees and other expenses were accounted for. The convenience of being able to work whenever drivers want has so far continued to outweigh the decline in salary, it seems. And the far reaching effect of these less regulated on-demand driving services still seems to be prominent. We’ve reported over the last few years about a number of taxicab driver suicides in New York as a result of the cost of medallions dropping. Medallion prices have plummeted as a result of the popularity of services like Uber and Lyft. In June, we reported that Abdul Saleh, a 59 year old cabbie, hung himself in his Brooklyn apartment. Like many other New York taxi cab drivers, Saleh was having trouble paying for the cost of his medallion - the value of which has likely collapsed in recent years. His business partner, who had reportedly ditched him to drive for Uber, stated that though he had been short in his weekly medallion payments in the past, one of his payments prior to his suicide fell much shorter than the others. Later, in August, we followed up with a report that the city had approved a cap on Uber drivers and had set a minimum wage. 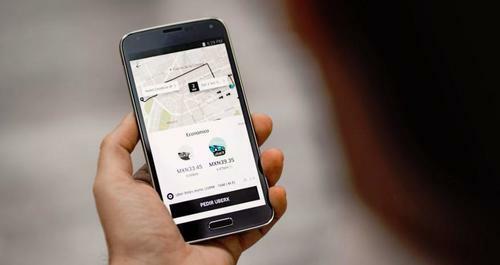 New York’s city council dealt a political blow to Uber and other app-based car-for-hire companies by approving a one-year industry-wide cap on new ride-hail licenses and giving the city Taxi & Limousine Commission authority to set minimum pay standards for drivers. The council voted against a similar cap proposed by Mayor Bill de Blasio three years ago after Uber mounted a television ad campaign and mobilized drivers and customers to oppose it. App-based licenses have since increased to more than 80,000 from 12,600 and provide 17 million rides per month, according to the city Taxi & Limousine Commission.